When we think of the fig tree immediately we are reminded of the fleshy, sweet and delicious fruits, fruits that also make it very good for health. 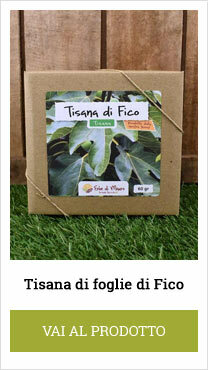 But how many know the therapeutic properties enclosed in fig leaves ? More precisely, I speak of its hypoglycemic properties, or its ability to reduce blood sugar, which makes fig leaves a real natural remedy for the treatment of diabetes . 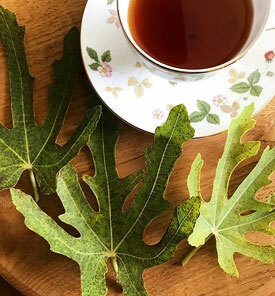 Let's find out its properties together ..
Infusion of fig leaves is an extremely effective natural remedy for lowering blood sugar levels , which is what in medical parlance is called glycemia . Diabetes is a pathological condition where blood sugar can reach very high levels due to the impossibility of the pancreas to produce insulin (diabetes 1, autoimmune disease), or due to a lower efficacy of the insulin itself to "ferry" glucose inside cells (diabetes 2, metabolic disease). For this reason, diabetics are prescribed a therapy that involves the injection of synthetic insulin and / or the use of drugs to reduce blood sugar. Now, given that the fig leaves have the ability to naturally reduce the blood sugar, it is convenient that this simple natural remedy can be integrated with those already known and applied by science, to better control diabetes, as well as to prevent the his appearance. Maybe you're thinking that this is a blog hoax, but I guarantee you that it's a real piece of news, the result of recent scientific research in vitro, on animal models and human volunteers. Many of these studies have also been published on Pubmed , the biomedical database accessible for free online. This research carried out on patients with diabetes 1 showed that the decoction of fig leaves is effective for reducing post-prandial glycemic levels, with a consequent lower dosage of insulin. This study of laboratory animals with type 2 diabetes shows that fig leaves exert a significant hypoglycaemic effect (reduce blood sugar) and lipid-lowering (reduce blood fats, such as cholesterol and triglycerides). Here is another study , this time conducted on laboratory rats and which shows how the fig leaves decoction has an action similar to that of insulin. 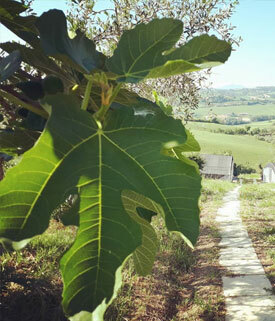 Fig leaves, taken as infusions or decoctions, also have a diuretic and slightly laxative action . They also help to quell cough and exert an emmenagogic action favoring the appearance of menstruation. Our grandparents knew it well, the latex contained in the twigs and fig leaves, is extraordinary for eliminating leeks and warts . It is an effective natural remedy, simple and at no cost! It's very simple. Just break a twig of fig and a white latex will come out. This latex will then be applied in the quantity of 1-2 drops directly on the wart or on the leek, letting it then absorb, without rinsing. This operation should be repeated every day, once or twice a day, until the wart disappears, or the leek disappears. Attention, because the latex has a corrosive and photosensitizing action (ie increases the sensitivity of the skin towards the sun)! Therefore it should be applied only and exclusively to leek, or to the wart. If you should also touch other parts of the body, you are advised to redeem them, otherwise risk sunburn and sunburn. Once the fig latex was also used to curdle animal milk. Given the coriacea consistency of the fig leaves, rather than the fig leaves infusion, it is preferable to prepare a decoction . Add a teaspoon of dried fig leaves and roughly chopped (equal to about 2-3 g) to a saucepan with a quantity of water equal to one cup. Put the saucepan to heat on a gas stove, or electric and once the water is boiling, simmer for about 10-15 min. Finally, turn off the heat, filter the drink and drink it warm or lukewarm, or alternatively pour it into a thermos so you can drink it during the day. Drink 1 to 2 cups a day of this herbal tea. If you want you can increase the dosages. 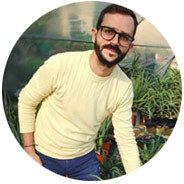 To prepare a one-liter herbal tea you will need 1 l of boiling water and 4 teaspoons of dried fig leaves. You can also use fresh fig leaves, but in this case you will need a quantity of double leaves, compared to the dried leaves. Attention ! If you are suffering from diabetes and take insulin, consult your doctor before taking the decoction of fig leaves. As the fig decoction reduces your blood sugar level, it is likely that as a result of taking this drink, you will be forced to reduce the amount of insulin. Yes, even the fig leaves can have contraindications. First of all, if you want to hire them to keep your diabetes under control, if you take insulin talk to your doctor and keep your blood sugar levels constantly monitored. Some people are particularly intolerant to fig leaves, so much so that their skin in contact with the leaves, can develop irritations. Finally, it should be remembered that fig latex has a caustic and photosensitizing action, so it should not be used lightly.